The U.S. Justice Department today reached a settlement with Atlantis Events Inc., a gay cruise and resort vacation company with offices in West Hollywood, to ensure that customers who are deaf or hard of hearing are provided effective communication when traveling with the company. 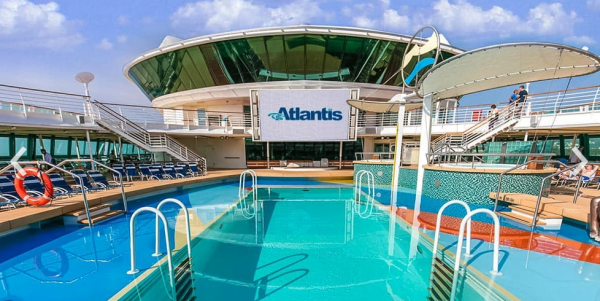 The settlement agreement resolves complaints under the Americans with Disabilities Act in which individuals who are deaf alleged that Atlantis failed to provide them with effective communication on a cruise. Atlantis — which buys and resells cabins on cruise ships and rooms at resorts — cooperated with the Justice Department throughout the investigation, federal prosecutors said. A message requesting comment left with an Atlantis representative was not immediately answered. Atlantis currently is embroiled in a controversy over the Jan. 22 death of Joel Taylor, 38, a star of Discovery’s “Storm Chaser” reality TV series, of an apparent overdose of GHB while on an Atlantis cruise. Taylor collapsed on a dance floor and was carried to his cabin, where he died. “We’re told there were huge quantities of party drugs on board the ship, including cocaine, Ecstasy and GHB,” reported TMZ, the celebrity gossip channel, saying such drugs were “flowing freely” among the partygoers. Atlantis, which is based at 9200 Sunset Blvd. in West Hollywood and headed by Rich Campbell, has been accused of not taking steps to curb what some describe as a drug using culture on its gay cruises. Under today’s agreement with the Justice Department, Atlantis will ensure that interpreters, transcription services, written exchanges, assistive listening devices, captioning or other auxiliary aids and services are provided to individuals with hearing disabilities free of charge when necessary for effective communication. The company also agreed to designate an ADA liaison on every cruise to respond to disability-related requests from passengers. In addition, Atlantis will pay a civil penalty of $10,000 to the U.S. government and $9,000 in damages to the complainants, according to the settlement. “Atlantis is to be complimented for acknowledging its obligations under the Americans with Disabilities Act, and agreeing to implement policies and practices to ensure equal access and effective communication,” Hanna said. Let’s Discuss: Are Pooches a Problem in Public Places? Not that I don’t agree that disability services should be on cruises but why does this fall at the feet of Atlantis who is chartering the cruise? Doesn’t the cruise line have responsibilities here as well? Isn’t it at least a shared responsibility? As a deaf man on many of these cruises, it is frustrating when you can’t even get closed caption on the tv, so it’s important that we have ways of communication if an emergency should arise. Not sure why this writer had to hash the other past issues, bad editing? It seems like the author is slandering Atlantis. Bitter much? I have been on over 30 Gay cruises. Both Atlantis and RSVP. There has always been a sign language person at the edge of the stage at every show and special seating front row for the deaf. There will always be an element of people who bring and use drugs, but the majority of them don’t. It is not “free-flowing”. I would not even know how to get drugs on a cruise if I wanted to. You have to be part of that “crowd” to know where the drugs are. Maybe the Port Authority should do more to search luggage and people as they get on and off the ship. The cabins are cleaned twice a day, maybe housekeeping should report drugs if they see them. What is the relevance of rehashing the recent death on the cruise, or a drug bust from 7 years ago? What does that have to do with violation of the ADD Act? I completely agree. Poor journalism. I won’t say “bad journalism.” I’m just pointing out what I think is bias, and what I define as “click bait.” Much of the media has been covering the recent tragedy, so it is brought up here, also, even though it doesn’t relate to this event in any way. One thing has nothing to do with the other. And, yeah, I have my own bias, as someone who has been on two of these cruises, and who has his own experience. I’ve never seen Atlantis staff condone people taking drugs, people selling drugs, etc.. I’m not saying it hasn’t happened, or doesn’t happen, as I can’t be everywhere on the ship, at the same time. I do know that much of the media that covered the recent tragic events, were most definitely not on that ship, and I’ve heard from half a dozen people who actually were on that cruise, about what happened. I won’t say anymore, except to say that what happened isn’t what was widely-reported. I’d love to see an article in this publication highlighting the amazing experiences and connections people have made on these cruises. If, for not other reason, for balance. WEHOville isn’t the Beverly Hills Courier, whose editor once said “we don’t write negative stories about local businesses” when questioned about its silence on the Beverly Hills Hotel protest. We publish the real news, without fear or favor. And “click bait” doesn’t apply because we don’t bill advertisers based on how many people click on a story or an ad. Sorry for using the term “click bait.” I just meant that putting that content in this article drives people to it, when it isn’t the subject of the article. People could Google “Atlantis” and “Storm Chasers,” and this will come up. Not exactly the same thing. The stories are relate to the same company, but are totally different topics. The proper way would be to focus on the ADA issue and refer (with a link) to the death story. Other issue is that they report as fact some claims around the death on board the Harmony that have never been verified by any of the parties actually involved. Just rumors reported by TMZ (which never claimed them as fact, instead saying that others on board said they saw – not that it makes it much better). They attribute one quote right after this statement to TMZ (and mention the suspected overdose before), but this claim itself is reported as though its fact, without any context to where it came from. It is pretty bad journalism to make that mistake and it could lead to a libel claim if those rumors aren’t true. TMZ was careful to give the context that all the info they published was given to them word of mouth and did not report it as though it were a fact.